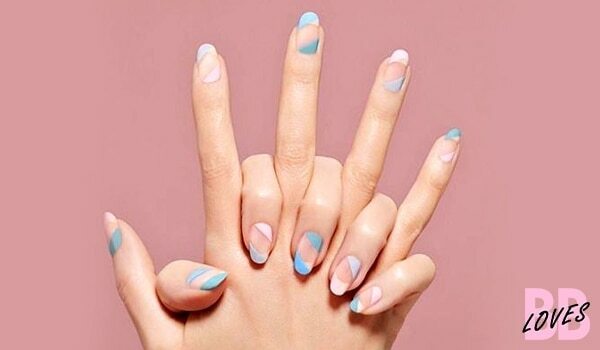 Nothing improves your mood like a fresh, new manicure! All those who are mad over manicures (just like us) will agree. Who says you can’t dress up short nails? 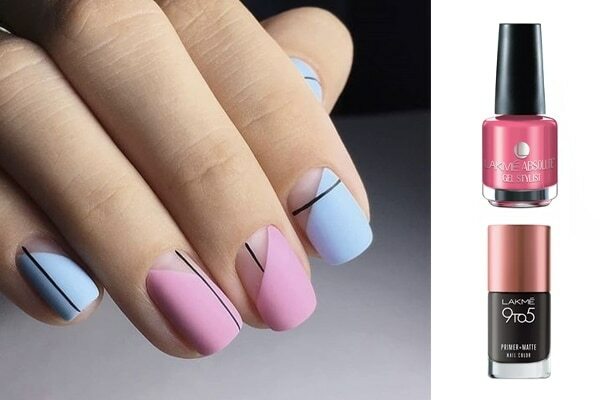 This simple and sweet nail art is just perfect for all those who like wearing their nails short. Grab the Lakmé True Wear Color Crush – 24 to flaunt similar nails. Mix a dull and bright shade together for your next mani sesh. You’ll be stunned with the end result. You can use the Lakmé True Wear Color Crush – 54 and Lakmé Absolute Gel Stylist Nail Polish - Jade Floret to create this gorgeous nail art. 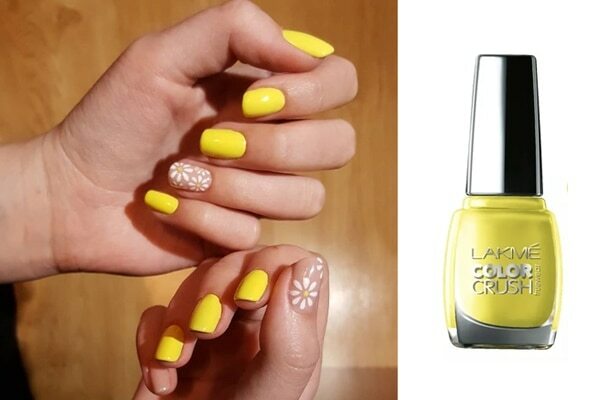 Perfect for the summer, this bright yellow manicure is sure to earn you all the compliments. Give your regular polish a negative space twist by creating floral designs on one or two fingernails. Use the Lakmé True Wear Color Crush – 54 to ace this manicure. 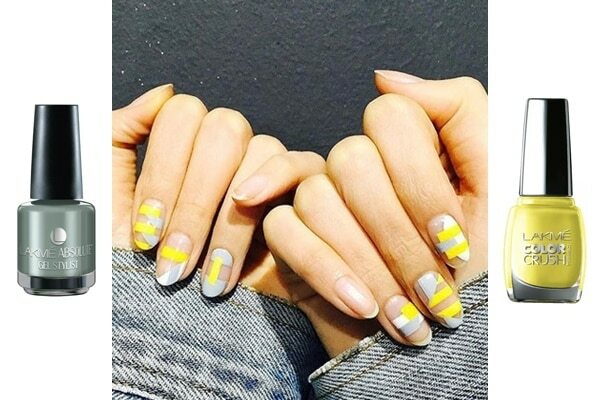 Revisit your school memories with this quirky geometric nail art. If you have an eye for detailing, then you’re certainly going to fall head over heels in love with this design. 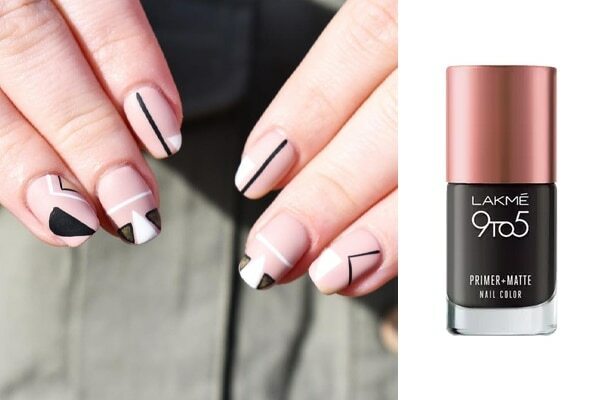 The Lakmé 9 to 5 Primer + Matte Nail Color – Charcoal will help you create this nail art. Love pastel? Then here’s the easiest way to spruce up pastel polish. All you need to do is create horizontal lines with a black polish and a thin brush, and you’re good to go. You can use the Lakmé Absolute Gel Stylist Nail Polish - Pink Champagne and Lakmé 9 to 5 Primer + Matte Nail Color – Charcoal to create this nail art. Shimmery nails can get too loud! If you love shimmer but are afraid to pull them off, then here’s the best alternative. Take the Lakmé Color Crush Nail Art - G1 to create negative space manicure with it. 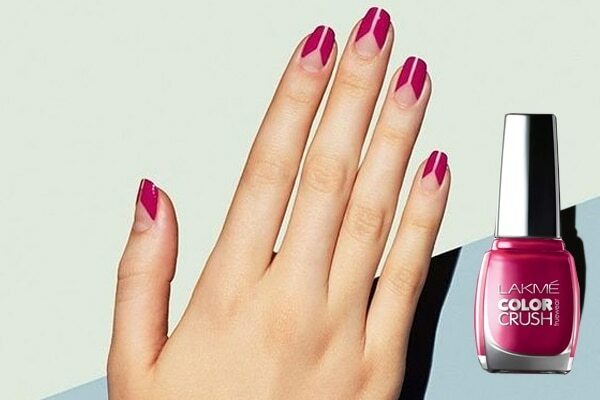 Draw cute little triangles on your nails to amp up a regular manicure. You can use any solid colour polish in a summery shade to create this beautiful nail art. 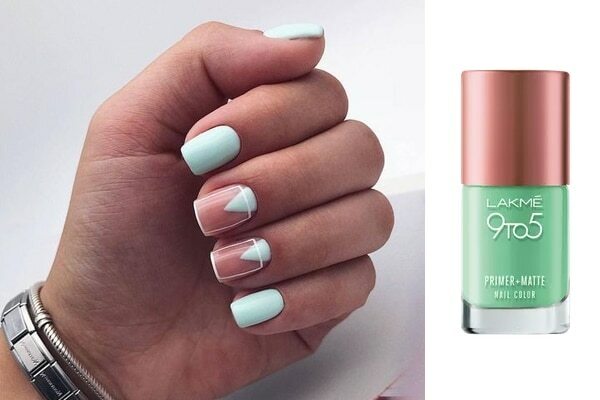 Try the Lakmé 9 to 5 Primer + Matte Nail Color – Green. 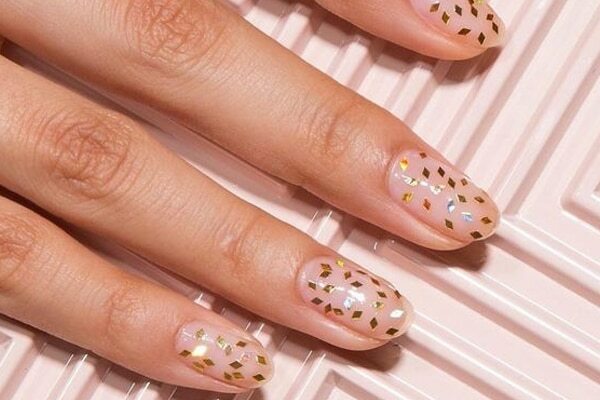 All you need is some confetti to achieve this delicate nail art. 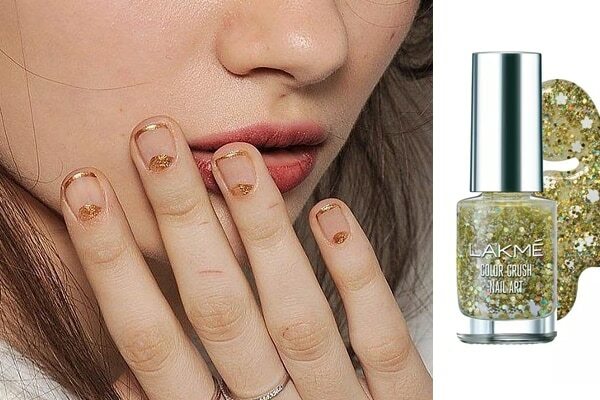 Sprinkle gold confetti onto the sticky surface of your gel polish and voila! Bright manicures always shine! 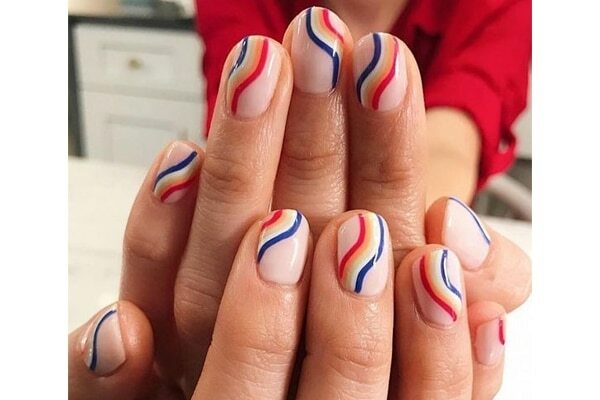 If you like more than two colours on your nails, then you should definitely try out this gorgeous rainbow-coloured manicure. 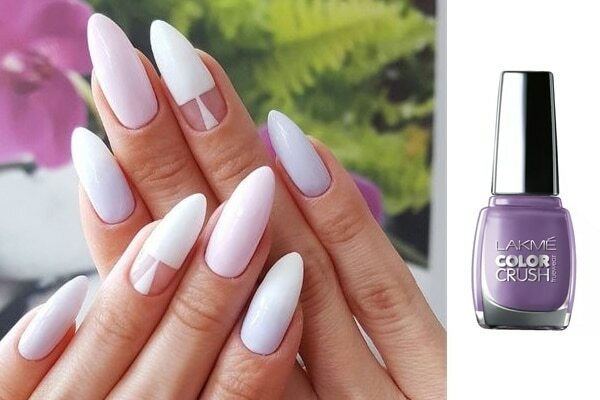 It’s sure to up the beauty quotient of your nails instantly.